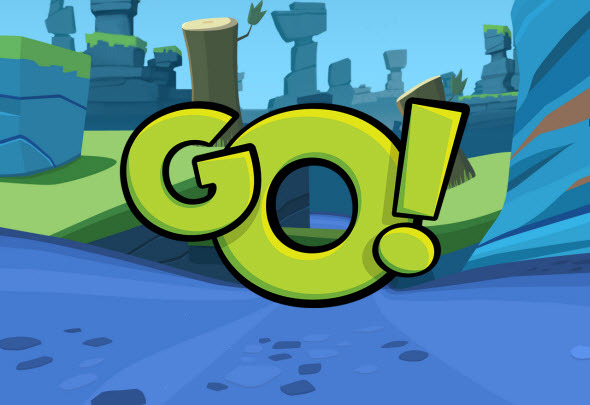 Unfortunately there is not much information about new Angry Birds Go game for now. The developers have published a short message on the official site that tells about some "most thrilling and action-packed" project. Also they promised that you will be closer to Bad Piggies' land than ever before. However the main characters of Angry Birds Go are birds, but not the piggies, and here you will see them from the brand-new side. The new project has already got its official site, where the developers have published very short sneak peek of what is going to come. According to this video, Angry Birds Go game will be a sort of runner or race simulator, but is it really true, we will find out later. Rovio will publish new information about the upcoming project later this summer, and Angry Birds Go release date is scheduled for the end of the summer or for the beginning of autumn.